When I moved to Vienna, Austria in November 1998 I had enough stuff to take with me so the bike I used for the Europe trip was left at my parents' place in Winkel, The Netherlands. 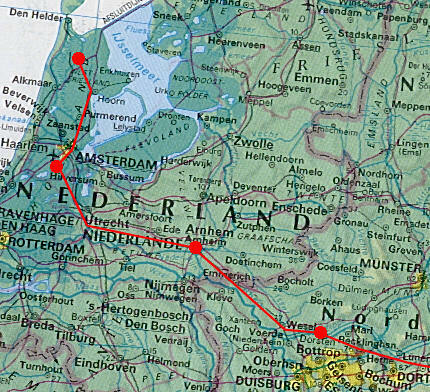 Of course it would have been easy to put it on the train during one of the many visits to the Netherlands but as it would be more fun to do it in a different way, I decided to cycle it to Vienna. Since the bike was still in it's original state after the 4500 km trip three years before, including the dirt and worn out tyres, it needed some maintenance. The shop did a good job so at least the bike was ready for the trip, we just had a Legian party the weekend before but we were still fine. As usual it started raining just before I arrived at Stella's parent's house so I arrived there soaking wet. Ah well, her mum was so kind to dry my wet clothes and the bike looked much cleaner afterwards as well. The first night in a comfortable bed was not bad either. The first day that Stella joined and the first 'mountain', the Grebbeberg, was taken successfully. Thanks to Rob and Elly we would spend the night in their beautiful house on the Rijn shore. It would be the last real bed and the last great shower for a while. Early in the morning we crossed the border with Germany, finally the holiday feeling came up, paying with foreign money, talking a different language and different products at the shops. We cycled pretty much along the same roads as I did last time around and it was fun to recognise some of the things we passed. This was a terrible day. First we had to pass the Northern border of the Ruhrgebiet which is very crowded and confusing and not really scenic at it's best. After that we had a very strong headwind while climbing up some steep hills. The top of the hills very filled with quick spinning wind generators which is not too motivating either. Then, if that was not enough, we cycled past the turn to the campsite which caused an additional 10 kilometers. Ah well, the campsite was not too bad, the sunset on the lake very nice and the restaurant was well deserved. 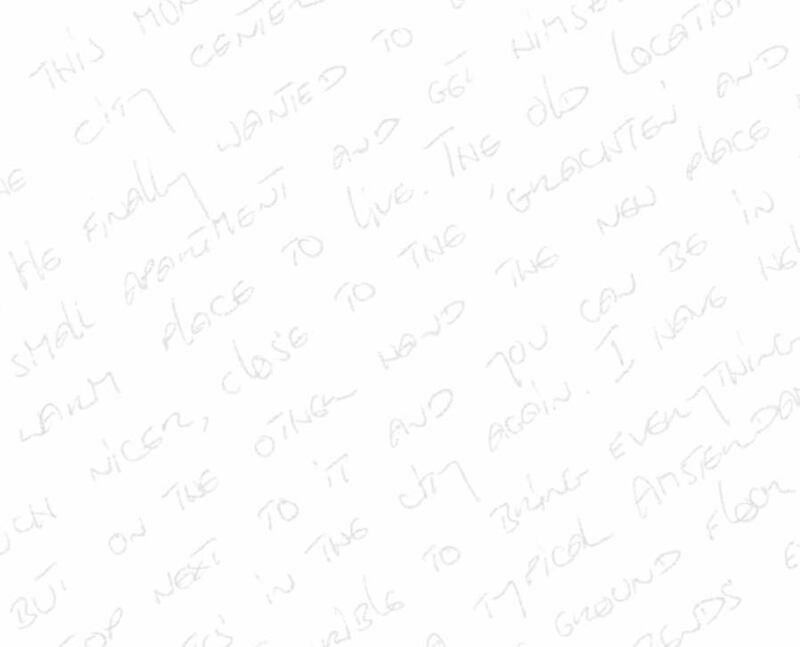 Looking on the map I noticed the town of Warburg. Since this was also a stop on my previous long trip I decided to go there again. The town is quite nice, placed on top of a hill surrounded by parts of the old citywalls. Quite nice for pictures and this turned out to be the only place I took pictures off during the cycling trip. Since we passed straight through Brilon we decided to go for an cafe visit. It was extremely warm so the drinks and icecream were very nice but on the other side, it was too nice to start cycling again. Ah well, in the evening we went to a restaurant for a pizza. Since we first stopped at an icecream shop we never got around having a pizza though. Tip of the day: eat icecream after dinner. After the long distances from the past days we needed a break so we just cycled 65 kilometers today. We also picked up the Werra, the river we would follow for a while. About half way we passed by the town of Münden. It looked quite nice but we didn't take time to stop, a tip for another time. After a day of rest you should be able to cycle a bit more. Well, today was very heavy. The first half we cycled along the Werra, so the road was pretty flat. After Eisenach however there was a steep climb, I guess it would have been over 10% and with the high temperature we had to stop very often. Later we spoke to someone who was told not to take this route but to stay in the Werrathal, very good advise indeed but we got it too late. After the climb in Eisenach we followed the river valley again but we were so tired in the end that it was hard to make the last, slightly uphill, 5 km to the campsite. The tip of the day: Always try to cycle along the water. Having learnt something, we cycled along the Werra until Meiningen, we then went to Mellrichstadt where we would pick up the road along the river Streu. Unfortunately we took a wrong turn in Mellrichstadt and we cycled over the hills around Hendungen. Nice hills, not too difficult to take when the temperature would not have been around 30°C and when we wouldn't have had the hill from day seven. So once again, we were pretty tired at the end of the day. The town, though very small looked kind of nice and since there was an icecream place at the swimming lake we took some time to relax with a view. Tip of the day: read the tin before use. The plan for the day was to cycle about 75 km but since the weather was great for cycling (overcast and around 20°) and the roads flat (we were cycling along the river Regnitz) we decided to stop close to Erlangen instead of Bamberg. Dechsendorf is a typical tourist town as it is surrounded by lakes and therefore it wasn't hard to find a nice restaurant. The long promissed pizza was really nice and tasted much better than the pasta from last night. Route wise this day was terrible. It already started early in the morning when we cycled in Erlangen, trying to find a way to Nürnberg which would not go via the highway (unfortunately not allowed for bicycles). After many stops we finally found the right way. 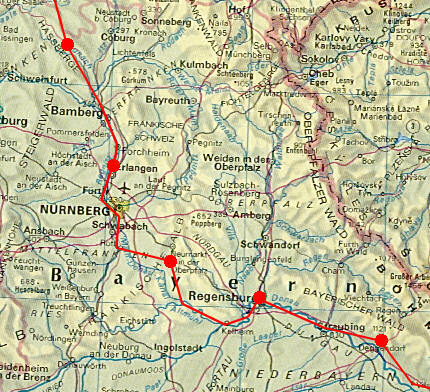 Then the next problem was Nürnberg itself. We had to go from the North-West to the South-East. Fortunately we first hit the ring so we decided to follow it, not the shortest way but at least safe. We then saw the signs directing to the Bundestrasse 8 but in order to get there we first had to take the highway. The way around was not too difficult to find but every time we would end up on the highway again so it took a long time before we finally got to Neumarkt. From there on the campsite was not difficult to find when you would ignore the first camping sign. Tip of the day: when cycling on the 299 towards Buchberg, ignore the first camping sign else you will never get there. 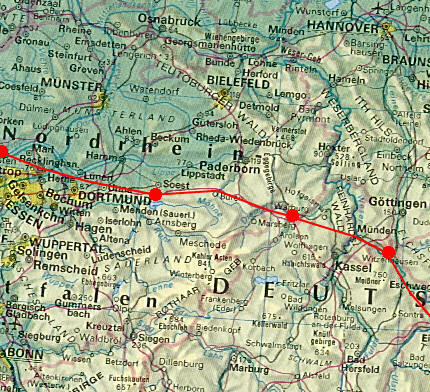 The shortest route to Regensburg is via the bundesstrasse 8 so we wanted to take that one as it would only be about 65 km. The camping owner however advised us to take the somewhat longer route via the rivers which was much easier. Having learnt from day seven we decided to take the easier route. Well, that somewhat longer turned out to be nearly double the distance so it took us much longer than expected. Next time I would take the direct route to check the difference. I also found the autoweg that I took last time. On my map the 14 is marked as normal 80 km/hr road where bikes are allowed. In real life this road is however a 100 km/hr road where bikes are not allowed. Last time I just ignored the signs and used it anyways, the police never stopped me so it went fine, and pretty fast as these roads are definitely flat. 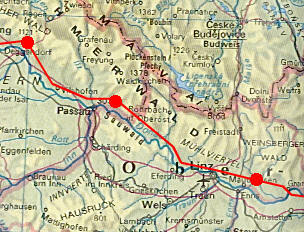 This time we did it the official way and took the road along the Donau, quite flat but probably also longer. Tip of the day: don't always believe what you hear. 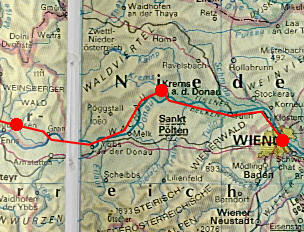 We finally picked up the Donauradweg which we would follow all the way to Vienna. Of course it's easy cycling since it just follows the river. That's also a problem since the river in this part of Germany is very curvy. Some days after we found out that the stretch to the border with Austria is only 120 km via the normal road while this track via the Donauradweg is 160 km. Ah well, at least it was easy to cycle even though it was still very warm. The temperature was well over 30°C. Another easy cycling day. We decided to stay North of the Donau so we had to cycle on the busy road North of Passau for a while. Ah well, it was not too bad. On the other side of the Donau we could already see Austria, a funny feeling. Following the Donauradweg we had to cross the river at Schlögen. The guidebook told us that the area is very nice and they were right, it is very nice. Unfortunately we got there during a long weekend so it was very busy with those weekend cyclists, you know, the slow ones. Stella had really gotten into cycling the past weeks so we were cycling an average of over 20 km/hr most of the time. It's so boring having to cycle slowly because of other people, it's much more fun to overtake them. We seem to have the same ideas about cycling: big cities are terrible, everyone should move out of the way and you only stop when it's time for a break, not to see something nice. That's also the problem with the pictures, i've taken only about 5 pictures from the entire trip. At Ottensheim we were supposed to cross the Donau at the power station but since we missed it we had to take the ferry at Ottensheim. The ferry sounds really nice and it seems quite nice to cross the river by boat but it's more a matter of waiting, then to quickly cross the water and then queueing up to get your bike off and get all the people out of your way when you start cycling again, quite boring. 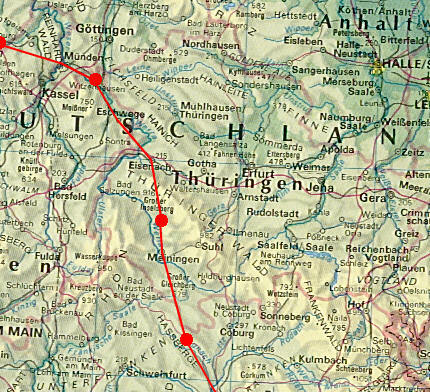 Just before Grein we went to the Southshore and at Persenbeug we used to bridge to go back to the Northshore. The route was quite scenic again and we were cycling fast. We really got into cycling since the slow first few days. In the Wachau, before Krems, there are many small villages. Seems to be quite nice to visit another time. Plenty of vineyards there as well so I guess that after the summer it would be nice to go there. A the campsite we met two pensioners who just came back from Budapest. They came from around Heidelberg in Germany and left home three weeks before. Very nice people. Well, we met many other nice people as well, there are so many pensioners who still go on cycle holidays. Hopefully in another 30 years I will be able to do the same. The final day, we have made it! Cycling was quite easy again even though it was approx. 36°C (nearly 100° Fahrenheit)!. It was great to be back, to have my own home around me, to see Katrin again and to have my own shower at my service.